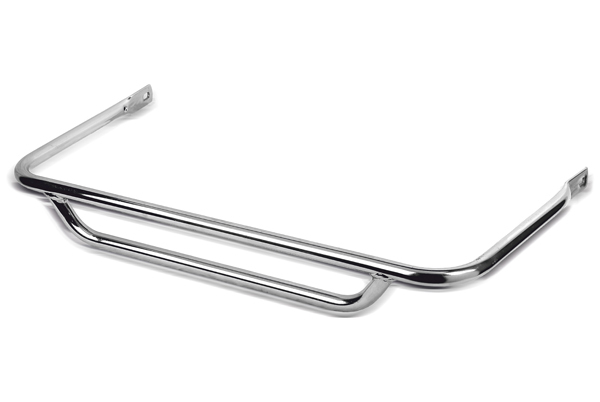 This KG Bodywork's CIK/08 front spoiler upper nerf bar is universal to all bodywork. It is easily mountable strong enough to remain rigid in case of impact, keeping the driver and competitors safe. This KG Bodywork's CIK/05 plastic rear spoiler is designed to offer a light weight way to keep you young one safe while on the track. Its bulk is intended to provide a worry free experience from both the driver and the parent. This cadet kart front spoiler mounting kit comes with all of the necessary hardware to mount up your front spoiler. It comes with a pair of mounting brackets and accompanying hardware shown int he provided picture.